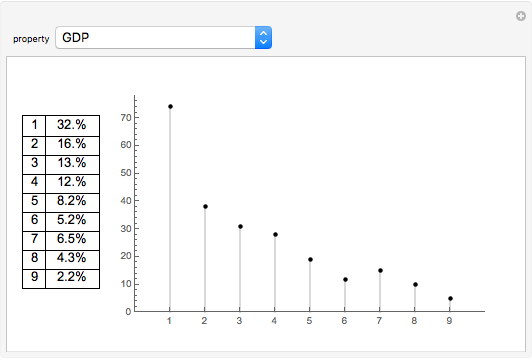 Benford's law, also called the first digit law, states that in lists of numbers from many sources of data, the leading digit is 1 almost one-third of the time. Moreover, subsequent values appear first with decreasing frequency; 9 occurs as a leading digit only one time in twenty. Many types of numerical data about countries approximately follow this law. 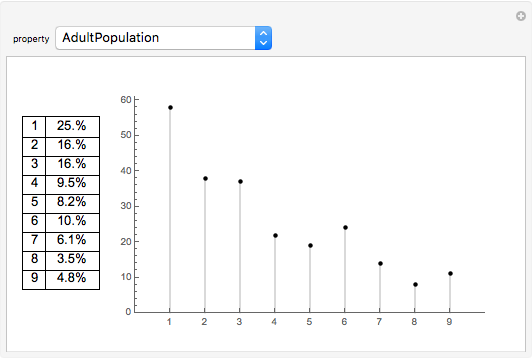 This Demonstration shows the distributions of various types of numeric country data. Hector Zenil "Country Data and Benford's Law"